He is or was the assistant United States Attorney for the Middle District of North Carolina and was the Prosecutor in the case of United States of America v. Brian David Hill. Brian has fought back against this rogue and corrupt AUSA Ramaswamy with his own set up evidence documentation, exhibits including discs, audio recordings, and photographs. See case Hill v. EOUSA (2017-2018) (More updated: CourtListener) and Hill v. United States (2017-2018) (Internet Archive.org backup of Court filings manually updated). Starting January 3, 2018, the friends of Brian D. Hill and his defunct website ‘USWGO Alternative News’ has launched this blog which will eventually be switched to premium account and eventually hosted on a domain name as this website grows. We hope that Justice can be brought to Hill with the postings and content of this political action website. Before Brian was framed, he was featured in multiple Infowars articles ( DHS Documents Show Big Sis Spying On Infowars!,  NC Sen. Phil Berger & Rep. Bert Jones still haven’t responded to Nullify-NDAA Petition » Alex Jones’ Infowars: There’s a war on for your mind!,  CONFIRMED: Psychiatric Manual DSM-IV-TR Labels free Thinkers, non conformers as Mentally Ill), and in the New York Times. The corrupt Justice Department has refused to do anything to bring justice to Brian Hill, so we are making sure to hold the corrupt Justice Department accountable and hold our Federal Judges accountable too if they do Brian wrong in his bid to proving misconduct by AUSA Ramaswamy and that Brian is actually innocent of his original criminal indictment in federal court. Some have wondered why Brian had been smiling in his jail photos. 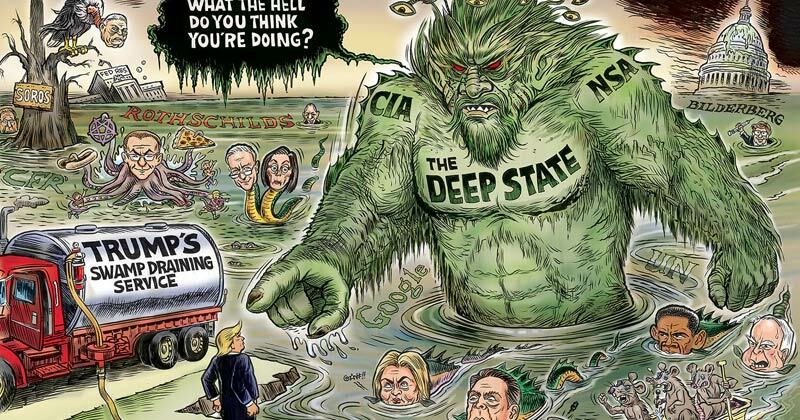 The main reason was that he was innocent and had nothing to feel ashamed of because he was framed, set up, and ruined for political purposes, that Brian is politically going after the criminals of the Deep State that set him up. Brian intends to prove his innocence and his smiles in his jail photos, despite how some may act like it is creepy, is Brian’s message to the corrupt swamp that he is coming after them even if they try to beg him to stop exposing their criminality. Brian has filed so much and has notified the Government that now it is no holds bar. Brian’s smile in his jail photos is a message to the corrupt U.S. Attorney swamp and the people that set him up, that he will not continually be set up and will overturn his wrongful conviction just like how Luke Rudkowski proved his innocence before he was fully set up by a tormail.org message. He and others went to the FBI, and so has Brian. Lying to the FBI is a federal crime so Brian sending them evidence of his innocence is even father a commitment to win and never lose, never give up. AUSA Ramaswamy has Obstructed Justice under Title 18 U.S. Code § 1519 (Destruction, alteration, or falsification of records in Federal investigations and bankruptcy) by knowingly concealing, covering up, or has destroyed some to most of his own federal prosecution files. The concealed, covered up, or destroyed records concern federal prosecution errors which means Brian’s claim of actual innocence may actually indeed be credible. The evidence that was covered up proves in August 29, 2012 that Brian was coerced by Detective Christopher Todd Brim and Detective Robert Bridge with falsely confessing to the crime that he did not do upon threat by town of Mayodan police Chief Charles J. Caruso. The threat was that Brian’s mother would have been held responsible if Brian didn’t “fess up” to the crime that he was framed on. They were fully aware that USWGO Alternative News was publishing anti-Mayodan and Anti-Phil-Berger news (Freedom of Press) and opinion (Freedom of Speech) articles prior to the criminal allegations. They admitted to have gone on his website and saw his YouTube videos during the interrogation. They accused him of being a ‘Sovereign citizen’ based on evidence that doesn’t exist such as flag with a crescent moon. Brian made an initial statement as also mirrored by the Hon. District Court Judge William Lindsey Osteen Junior. The statement was of innocence and that he had only gone for pirated software and music. They used false perception of evidence and lies to make Brian feel that he better just tell them what they want to hear and answer their questions to make himself look guilty for leniency for a crime that he did not do. The discovery evidence proves his confession was false and caused by coercion, that the police were fully aware of Brian’s political involvement with the alternative media which mainly is USWGO Alternative News. The forensic report also proves a statement of evidence planting and tampering regarding his Black Toshiba media Laptop by Special Agent named Rodney V. White. AUSA Ramaswamy knowingly prosecuted a faulty set up case and then quickly pressured his family through the asst. Federal Public Defender, Eric David Placke, to get Brian to falsely plead guilty for a prison sentence of time served or he may face up to 10-20 years of federal imprisonment and likely up to life of Federal Probation if he had not lied that he was guilty under Rule 11 of the Fed. rules of Criminal procedure. It was revealed in Brian David Hill’s case under the Freedom of Information Act (FOIA) federal lawsuit, pursuant to Title 5 U.S. Code § 552 (Public information; agency rules, opinions, orders, records, and proceedings), that AUSA Ramaswamy had not disclosed all case files of his own federal prosecution of his earlier criminal case. The Police report and federal court Transcript both prove the existence of the “audio” containing the false confession of Brian Hill. The Federal Transcript and Police report also prove the involvement of North Carolina (NC) State Bureau of Investigation (SBI) Special Agent (SA) Rodney V. White. He works at the SBI office located at 501 Industrial Avenue, Greensboro, North Carolina 27406. His office at the Northern Piedmont District — Greensboro office can be contacted at the phone number of (336) 256-1362 or even the facsimile number of (336) 256-1360. You may email them at their contact form box at their website. The town of Mayodan Police Department may be contacted at the phone number of (336) 548-6038 and the professional office address of 101 N 3rd Ave Mayodan NC 27027-2414. You can contact them by going to their website and finding an email address or contact box. 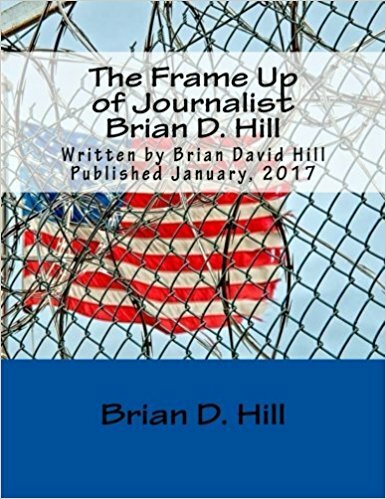 Both the false confession audio recording and the SBI investigation file on Brian David Hill has disappeared from the federal prosecution records from the United States Department of Justice. I shall make posts further explaining and pointing towards the documents, photographs, and other relevant evidence as to why and how AUSA Anand Prakash Ramaswamy of the Middle District of North Carolina, has committed one or more federal crimes to persecute an innocent man of USWGO Alternative News named Brian D. Hill prior to his full name being released in the federal prosecution against him. They’re office is located at 101 South Edgeworth St., 4th Floor, Greensboro, NC 27401, Phone no. of (336) 333-5351, fax no. of (336) 333-5357, and email address of anand.ramaswamy@usdoj.gov. Each post will detail the characteristics and cite evidence, sources, and any other relevant information and arguments which concludes as to why Asst. U.S. Attorney Anand Prakash Ramaswamy has committed one or more federal crimes against frame up victim Brian D. Hill by his malicious prosecution likely in regards to his defunct website USWGO Alternative News and any of his other misc. political activities that led up to his frame up. Jim Tucker of the American Free Press, the veteran news reporter that reported of Bilderberg Group. He is now deceased but shall live on in our hearts and minds in this ongoing Information War. Brian D. Hill had interviewed this man in 2011 but with lack of quality recording equipment but he slowly improved overtime but was framed by the Government, by the Deep State, before he could become successful like Alex Jones and Drudge Report.